This new residential development is on the site of the former Lee Bay Hotel, in Lee, North Devon. The site has an amazing location at the bottom of a wooded valley adjacent to the bay, but the existing layout has lost connection with its context. 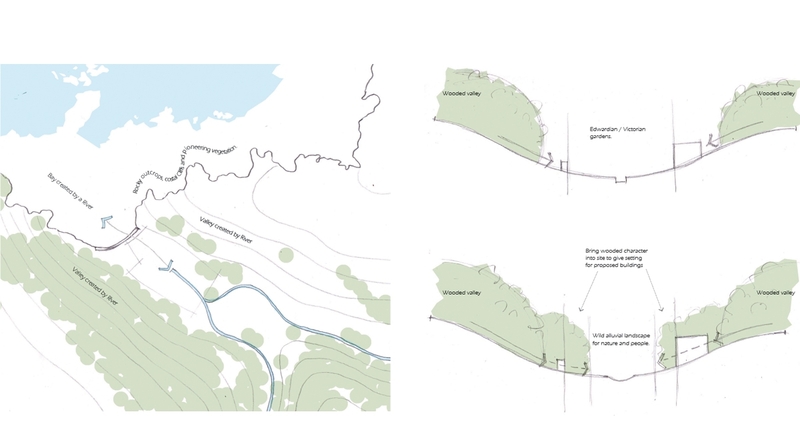 The landscape concept aims to reconnect this alluvial landscape with the sea by opening up the culverted stream and rediscovering views of the bay. 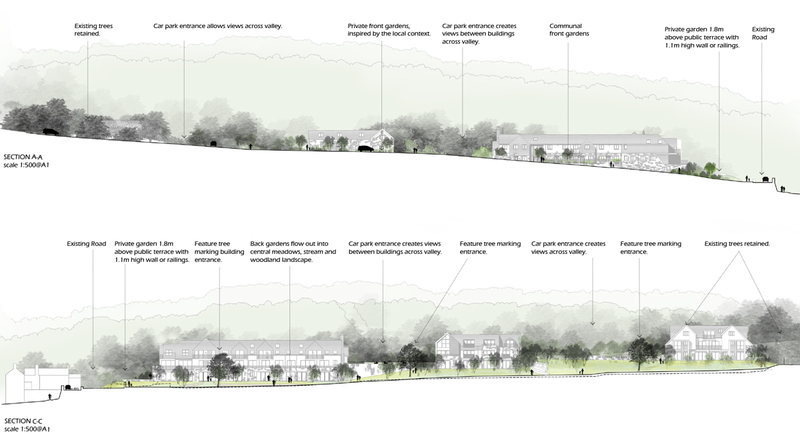 The surrounding woodland will be brought into the edges of the site to further help settle the development into its landscape. The central landscape surrounding the stream will become a coastal meadow with mown paths running through it. The stream will be carefully remodelled and the surrounding woodland will be closely managed. The landscape will become a place for people to explore and for nature to thrive. The houses are set back from the road leading down to the bay, with north facing front gardens that take inspiration from verdant Devon lanes. The planted banks create a sense of arrival for residents and add to the sense of place. 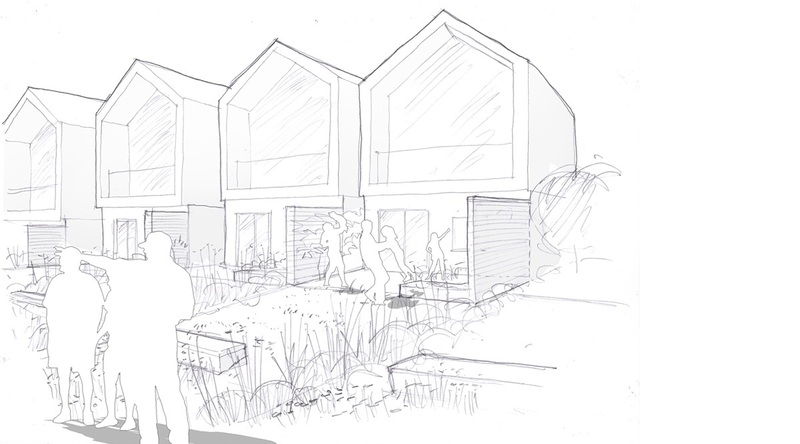 The south facing rear gardens feature blurred boundaries allowing them to blend almost seamlessly into the naturalistic meadow landscape beyond. 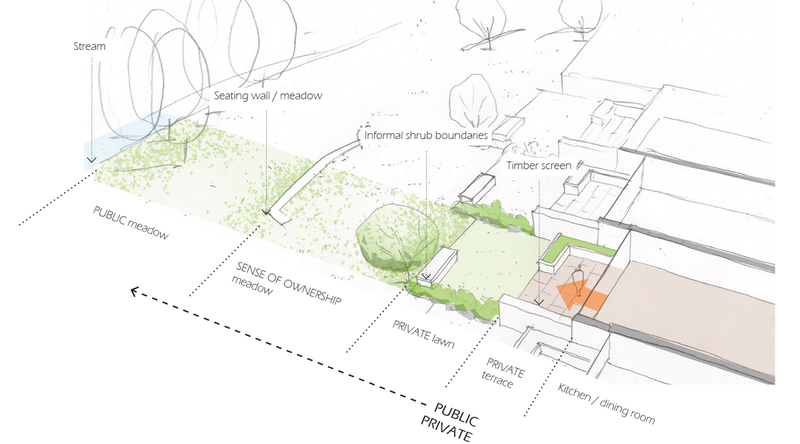 These rear gardens have a strong relationship with the central landscape, without dominating it. 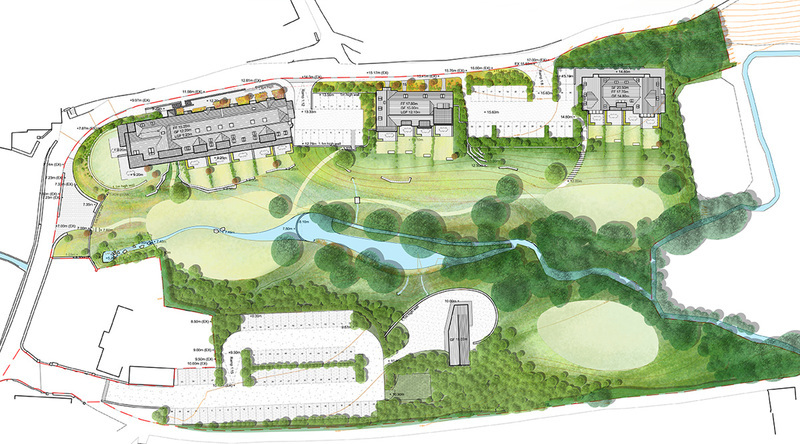 The landscape concept was to open up the canalised stream thereby reconnecting the development with the bay, and to bring the woodland into the edges of the site to help settle the new buildings into their surroundings. The landscape concept for the houses. The internal landscape and the new bay square.